Chelsea suffered an absolute thrashing at the hands of Manchester City on Sunday, as the Blues lost 6-0 to Pep Guardiola’s side at the Etihad to lose more ground in the race for the top four. Goals from Raheem Sterling (x2), Sergio Aguero (x3), Ilkay Gundogan ended up proving to be the difference between the two sides in the end, as City leapfrogged Liverpool to go back to the top of the league. Chelsea, however, fell down a place in the table, with the heavy defeat meaning that Arsenal have now overtaken the Blues on goal difference. The defeat was also Chelsea’s heaviest in Premier League history, and their heaviest since 1991, when the west London side were beat 7-0 by Nottingham Forest in the old Division 1. Given the Blues’ topsy turvy run of form lately, we can’t imagine that Sarri can afford to lose many more matches in the same calibre as this if he wants to keep his job at Stamford Bridge. 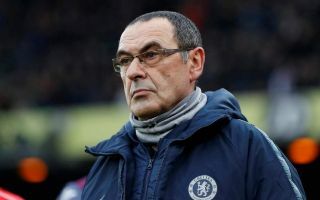 Chelsea haven’t scored an away goal in all competitions so far in 2019, something that absolutely must change if Sarri wants to keep his job this season, and if the club don’t want to end the campaign empty handed.